English version below the picture! Med införandet av de nya bokningsklasserna SAS Go och SAS Plus gjordes även matutbudet ombord om. Numera är det samma mat både i SAS Plus och SAS Go med skillnad att det är gratis för de i SAS Plus. Kaffe och te är fortfarande gratis för alla. 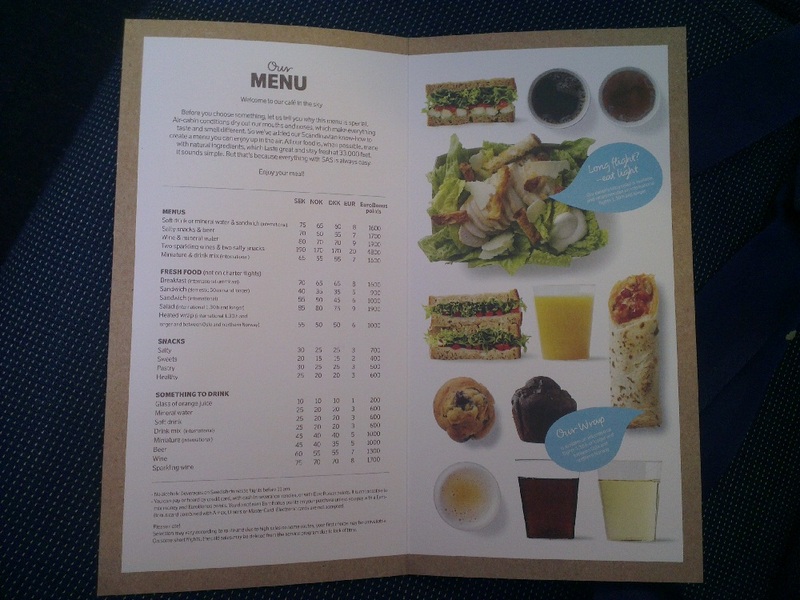 At the same time as SAS implemented the new classes onboard, SAS Plus and SAS Go, even the food and beverage menu has been changed. Now, both SAS Plus and Go get the same food menu, the only difference is that it is for free for everybody travelling in SAS Plus. Coffee and tea is still complementary for everybody onboard.